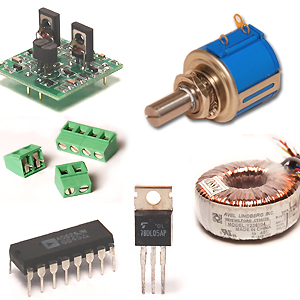 This section contains modules designed to combine audio or control signals or to vary the gain of an incoming audio or control signal under voltage control. 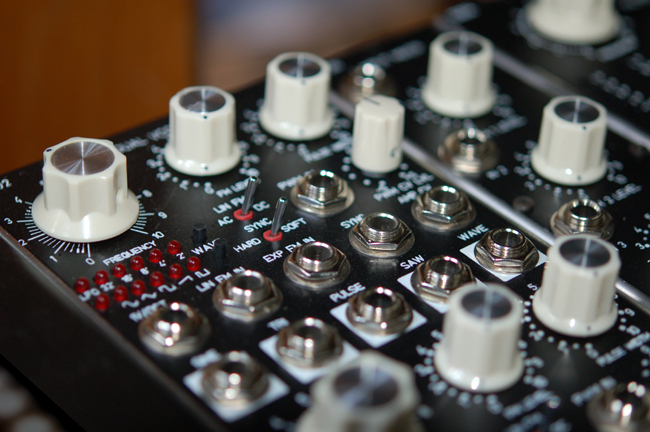 Some of the modules in this section also provide the ability to pan a signal between two outputs to allow creation of a stereo effect from a monaural input. The GMS-712MU Dual Log/Lin Voltage Controlled Amplifier contains two high quality VCA devices in a 1MU panel. Each amplifier can be set to have a linear or logarithmic response to the input control voltage. 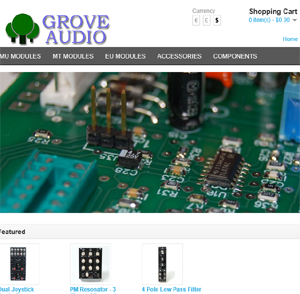 The GMS-714 Quad Voltage Controlled Amplifier/Gate contains four high quality VCA devices in a 1MU panel. 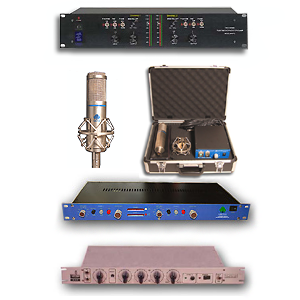 Each amplifier can produce a change in amplifer gain from infinite attenuation to a gain factor of 1 or more with linear or logarithmic control response. The GMS-725 4 channel mixer/processor module combines a 4 input mixer that has a variable gain control and offset control with a second amplifier with a single input, gain, and offset controls in a 2MU module. 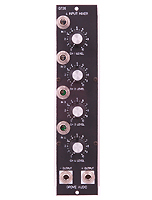 The GMS-726 4 Channel Mixer module can be used for mixing audio or control voltage signals. 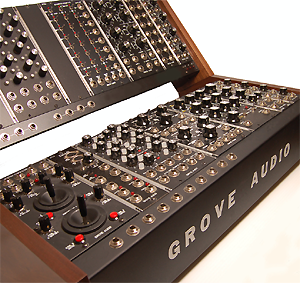 The module produces simultaneous outputs that are in phase and 180 degrees out of phase.